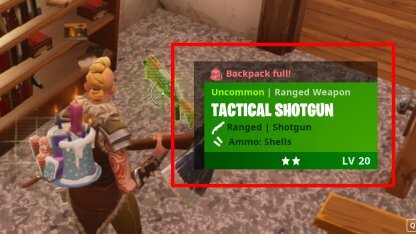 Read this Fortnite Battle Royale Item Management Guide! 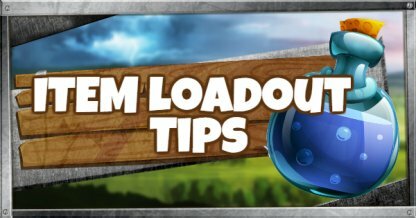 Learn how to manage your loadout, share, and split your ammo, building materials, & items in your inventory. 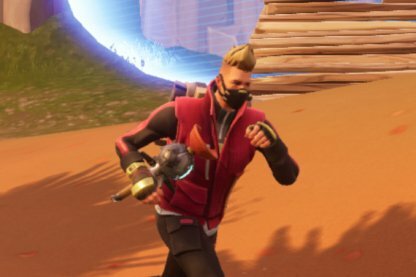 Knowing how to best manage your Fortnite inventory will definitely help you in any situation, whether in the early or latter parts of the game! 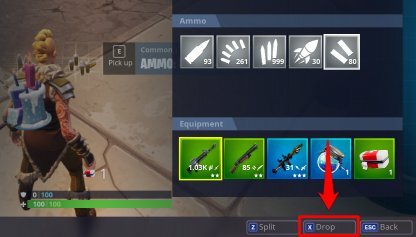 The default button used to open your inventory on PC is the "I" button on your keyboard. Consoles may have the Inventory defaultly mapped to the "DPAD UP" and mobile has a dedicated button for your inventory. Your inventory has three sections - Traps & Resources, Ammo, and Equipment. 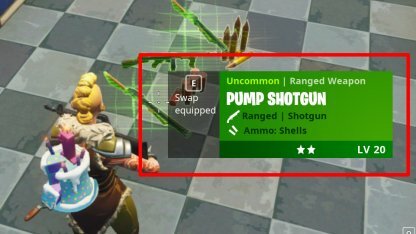 Both Traps & Resources & Ammo sections have no item slot limits but Equipment has a 5 slot limit, excluding the slot for your harvesting tool. Take note of this when working on your inventory! Check Out All Item List & Effect! To pick up items around you press the button prompt that shows up when standing in front of the item. 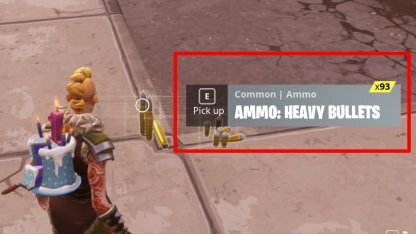 Ammo is automatically looted from the ground when you run over them. 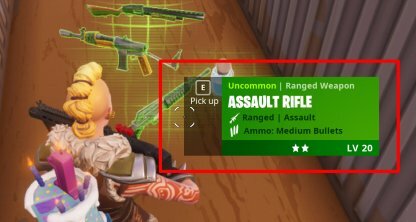 In your settings, under Game -> Control Options, you can toggle auto pick-up of weapons. We don't recommend turning this on as this will fill your backpack up fast with items you may not need. If you want to drop or share your items, you only need to select the item you want to drop and press the "drop" button. 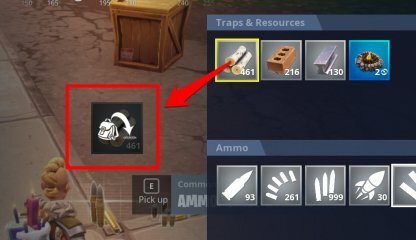 You can also drag your unwanted items to the left side of your inventory. If you want to "share" your resources and still keep some for yourself, select how many you want to drop before dropping your item. This will split the resource in half and you'll keep the other half for yourself. If you want to switch items out from your current inventory, simply equip the item you want to swap out and pick up the item in front of you. This will automatically switch out one for the other. If your inventory is full, you can still switch your items out using the same method of equipping the item you want to switch out with the one you want to replace it with. You can reorganize your equipment within your inventory so it reflects into your in-game UI. Simply drag them in the slot you want to put them for PC, and select the two items you want to switch for Consoles. This only works in your "Equipment" section, you cannot reorganize your "Traps & Resources" or "Ammo" sections. 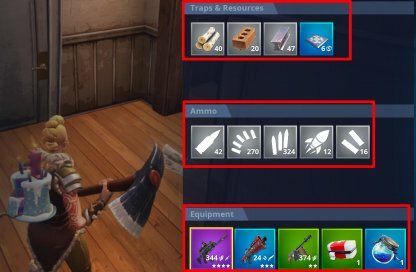 Traps are do not take extra space in your inventory and can be found under the "Traps & Resources" section. 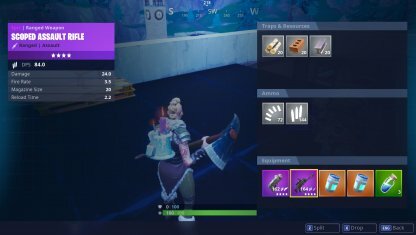 Traps are automatically looted from the floor, same as ammo and building materials. You can also still press the "Pick Up" button, if you want to manually pick them up. You can drop traps the same way as items from your inventory, by pressing the drop button. 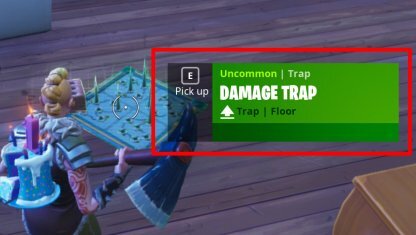 You can quickly switch traps on PC by right clicking while placing your traps. Consoles also have a dedicated button for switching traps without having to open the Inventory. It is recommended to have 3 weapons and 2 recovery items in your equipment section. This way, you're covered both offensively and defensively! Check Out Best Weapon Loadouts! Try to gather as much resources and ammo as you can. They don't take up any inventory space and hold up to 999 per slot. Check Out Building Basics Here! Since traps don't take up any inventory space, it's nice to have them in your arsenal. Go for jump pads and launch pads for mobility and advantage of high ground!